With the impending arrival of the Munda Biddi long-distance cycle trail into Denmark (WA), efforts are underway to encourage local businesses to become more cycle friendly. 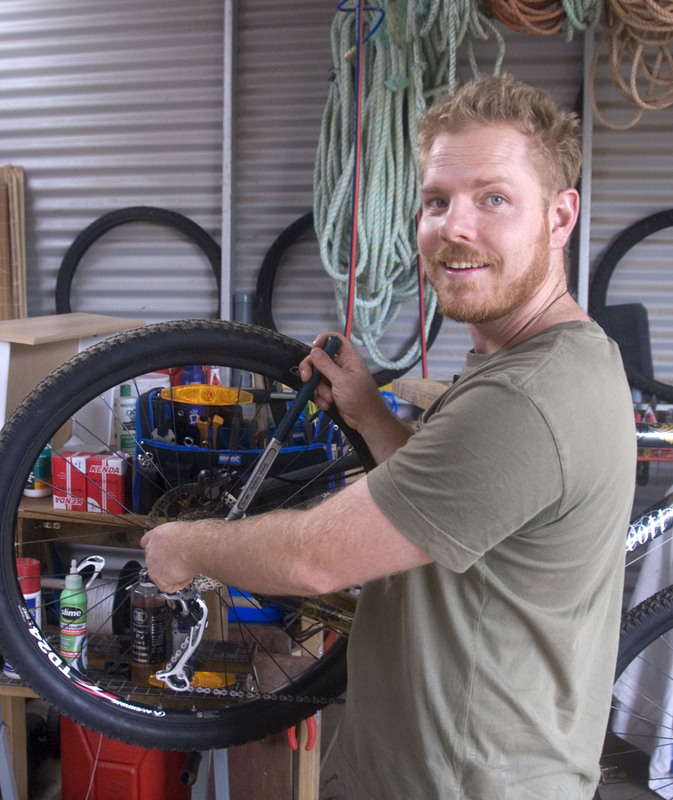 The Munda Biddi Trail Foundation, which promotes the trail to cyclists nationally and internationally, runs a cycle-friendly accreditation program for accommodation operators and other local businesses. The first Denmark business to receive accreditation is Out of Sight Tours, which provides a bike hire and transfer service from its Eco-Discovery Shop based in the Denmark Visitor Centre. Out of Sight Tours co-owner, Lenore Lyons, said that one of the key factors that helped it to achieve its cycle-friendly status was the provision of bike repair and maintenance services. Out of Sight has teamed up with local Gareth Stoakes to provide a repair service for locals and visitors alike. She said, “Gareth is a qualified bike mechanic and teaming up with him has enabled us to enhance our services to cycle tourists”. Murray Gomm, Community Development Officer for the Munda Biddi Trail Foundation, is responsible for assisting local businesses to get ready for the arrival of the Munda Biddi. “The partnership between Out of Sight Tours and Gareth Stoakes is an indication of the exciting new possibilities that the Munda Biddi trail offers. My job is to work with like-minded businesses to develop new opportunities in cycle tourism”. For business interested in learning more, Murray is running a cycle-tourism workshop in Denmark on the 28th February at 6pm at the Denmark Recreation Centre.